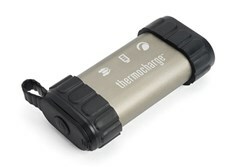 The Trust PowerTank GO to keep your USB-charged devices fully charged while you're on the go. Its extra-large 7800 mAh battery can completely recharge a standard smartphone more than two times or provide a partial chage to most tablets. 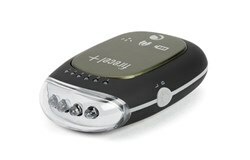 PowerTank GO uses a standard USB port, so you can plug in directly using your device's charging cable. Protected by a durable rubber outer housing, PowerTank GO is as rugged as it is portable. 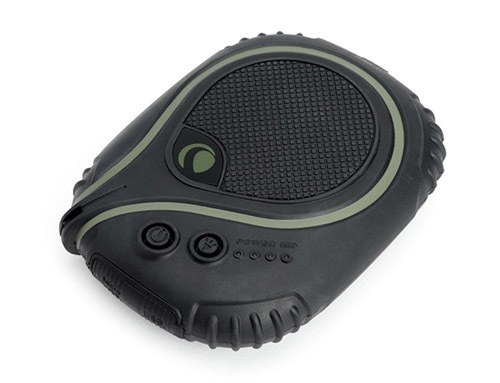 It's crushproof and shockproof, plus, it can withstand drops of up to 5 meters and downward pressure of 1,000 lbs. PowerTank GO boasts the highest rating of dust resistance and is completely water resistant, with an overall Ingress Protection rating of IP-65. Keep your smartphones, tablets, GPS systems, cameras and other USB-powered devices as active as you are with PowerTank GO—the ideal outdoor portable-charging solution for your electronic gear. The Celestron Elements PowerTank GO has many exciting features for users of all types. You can extend the lifetime of your Celestron Elements PowerTank GO with the purchase of a FactoryOutletStore Factory Protection Plan. 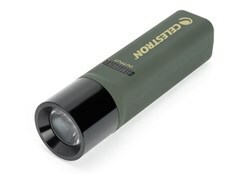 See the Celestron Elements PowerTank GO product video and gallery images above for more details. FactoryOutletStore stocks a full line of accessories like 2-in-1 Device, 3-in-1 Device, and 8x21 Binocular for the Celestron Elements PowerTank GO. 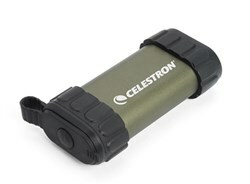 The Celestron Elements PowerTank GO is sold as a Brand New Unopened Item.